Ballyhooley or Ballyhooly, meaning "Ford of the apples”, is a small village in north County Cork between Castletownroche and Fermoy. Ballyhooley is home to several pubs, a church, community center and petrol station with shop. Castle Ballyhooley, a 17th-century manor house outside of the town, was the site of a well-known skirmish during the Irish Civil War, known as the "Ballyhooley Massacre," despite the fact that only one person was killed. Ballyhooley is also the subject of the novel The Ghost of Ballyhooley by Betty Cavanna, which relates the story of a local girl who disappeared from the castle in the 1890s and was never found. Other books include The Ford of the Apples. The village which is situated on the river Blackwater was the former seat of the Earls of Listowel. Earl of Listowel (pronounced "Lish-toe-ell") is a title in the Peerage of Ireland. It was created in 1822 for William Hare, 1st Viscount Ennismore and Listowel, who had earlier represented Cork City and Athy in the Irish House of Commons. 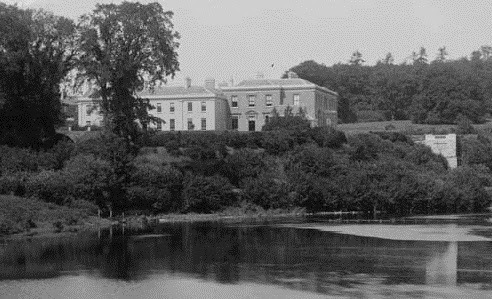 The family seat was Convamore House, near Ballyhooly, County Cork. In April 1921 Convamore House was burnt down by The Irish Republican Army (IRA). Convamore was finally demolished in 1969.